Will you be entertaining anytime soon? May I suggest this dish as a pasta or main course, it’s a show stopper. 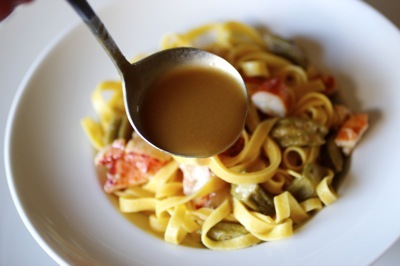 A twist on Louisiana’s gumbo, but with fettuccine and pickled okra. 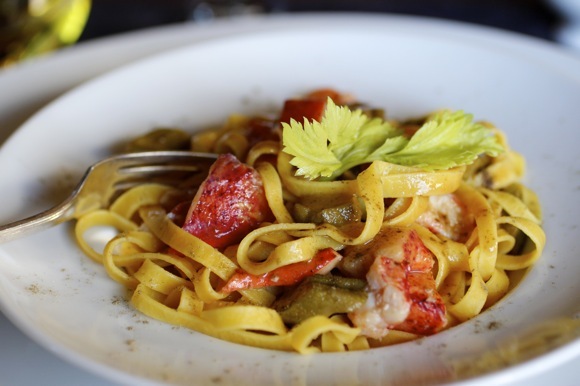 The depth and complexity of the gumbo sauce made from a golden brown roux will WOW your guests, as, of course, will generous morsels of fresh Maine lobster. Pickled okra counterbalances with a refreshing zing. Those not too fond of okra will be impressed, there is none of that usual slipperiness. Caramelize the vegetables in oil over medium-high heat. 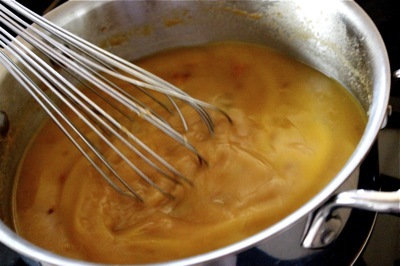 Add flour, stir with a wooden spoon until the roux is a golden brown, about 20 minutes. This sauce recipe yields eight portions. 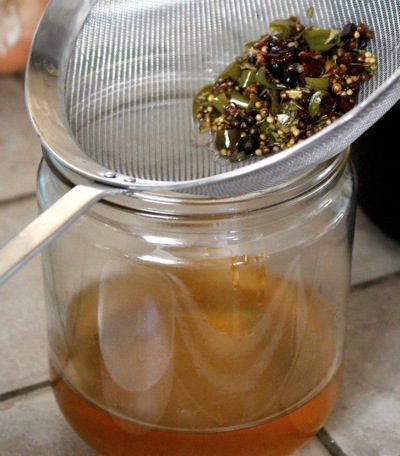 Strain sauce through a fine-mesh sieve, return to a clean sauce pan. Reheat and season to taste with salt and pepper. Combine all the ingredients in a small saucepan and bring to a boil. Simmer 15 minutes. Strain out solids and return juice to the saucepan. Bring to a boil and add fresh okra. 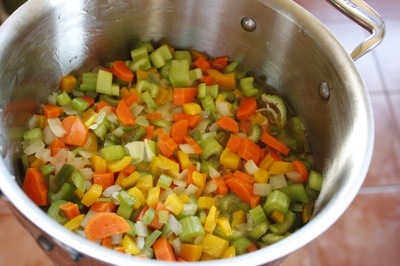 Reduce heat and simmer for 3 minutes. 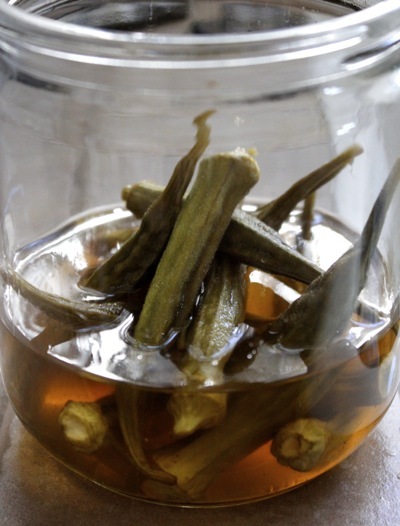 Remove from heat and let okra come to room temperature in the pickling juice. Using a sharp knife, slice okra into small pieces on the bias. Brown butter in a sauté pan. Add lobster meat and gently heat through. 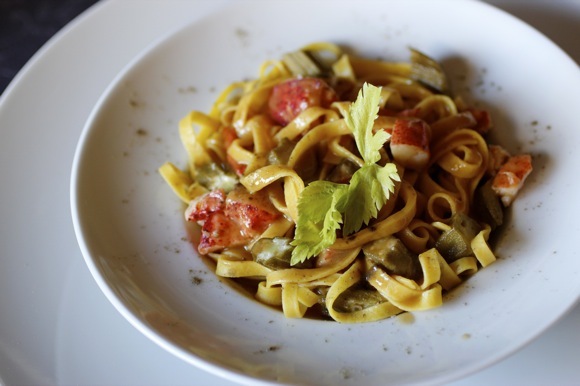 Toss al dente fettuccine with lobster and sliced okra. Serve each portion in a shallow bowl. Ladle the hot sauce on top, ladling enough sauce that it slightly pools at the bottom of the bowl. 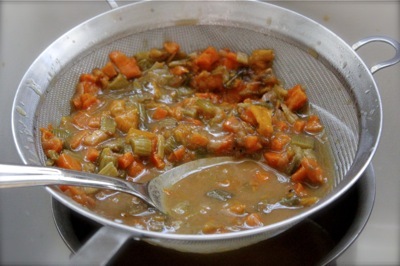 Serve Gumbo Filé on the side. This powdered sassafras adds a distinctive, earthy flavor to the dish. 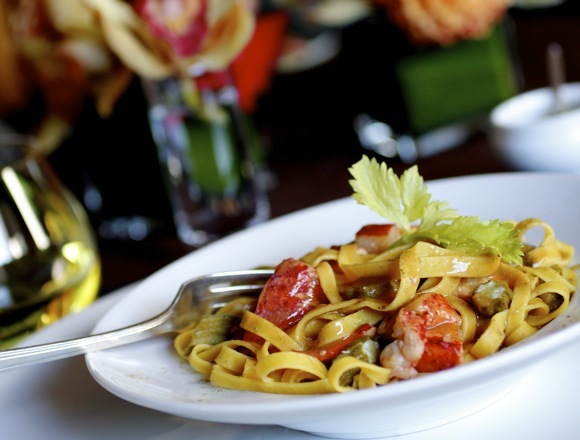 Guests can sparingly dust their pasta with the spice to add an authentic New Orleans gumbo note. Pale celery leaves make a pretty garnish while accenting the celery flavors in the gumbo sauce. Although this dish is nothing like his “Crayfish Lasagne with Duck Rillette,” Charlie Trotter’s original creation is most definitely the inspiration for my dish. He’s my hero. His sauce pairs beautifully with seafood pasta. Oh, Lori Lynn, you did it again: I can only begin to imagine how good this treat tastes! The images are sheer joy to look at, such lushness, such poetry. I am in love. As someone who really loves her gumbo, I have to tell you this is just a genius idea!! The pickled okra, the gumbo sauce … file on the side! Holy hell girl, you may have just made a classic. I agree with Merisi, and you’ve done it again. I just received a prize package from Whole Foods with lots of lovely pasta and am looking for something special. Yum this sounds so good. Love lobster and okra!! What a great idea to do it as a pasta. You’re absolutely right! If I were served this fabulous dish at a dinner party, I would be totally WOW’d. 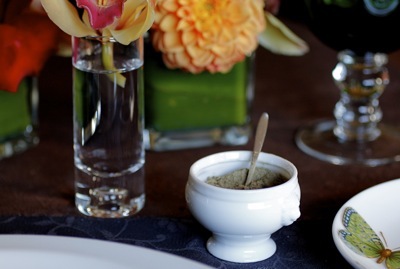 As a gumbo lover, this is certainly a deliciously creative and elegant approach. What a combination of inciting flavors…the pickled okra is such a unique component here. Delightful dish! What a beautiful dish! It sounds divine! I love gumbo and pasta, I’m suprised I didn’t think of this already 🙂 My hubby would go crazy over this too, he loves okra! Great post with great pictures! This looks delicious! I’m allergic to lobster so I can’t indulge, but I LOVE pickled okra! I can eat them like potato chips! Such a beautiful dish, too! Oh wow, what an amazing meal! Just so tasty looking and your photos are beautiful dear! Great post Lori! Fantastic pasta dish. 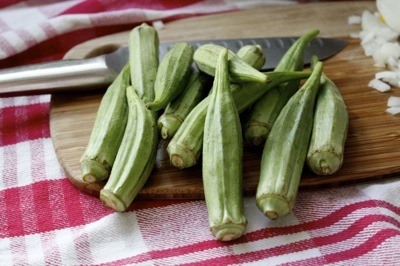 A great way to elevate okra. Love it. Beautiful as always, dear Lori Lynn. The combination lobster-okra is quite interesting and the final dish a treat for the eyes. So delicious and tempting it looks, simply love anything with okra added inside. as gorgeous as ever..why have I strayed? Lobster is my fav dish! This looks like an amazing combination and your pictures are gorgeous! Nice recipe, i found some okras at the supermarket but i didn’t know what to do with them. As someone who’s grew up on gumbo and loves the aroma of a good roux, I never thought of making it with lobster– and I live in New England. Thanks for the inspiration!